Can you believe that we are only one week(ish) away from Christmas? Did this year just fly by or what?! Every major holiday, I try to come up with some themed wines or wine pairings that would go with that specific holiday meal. 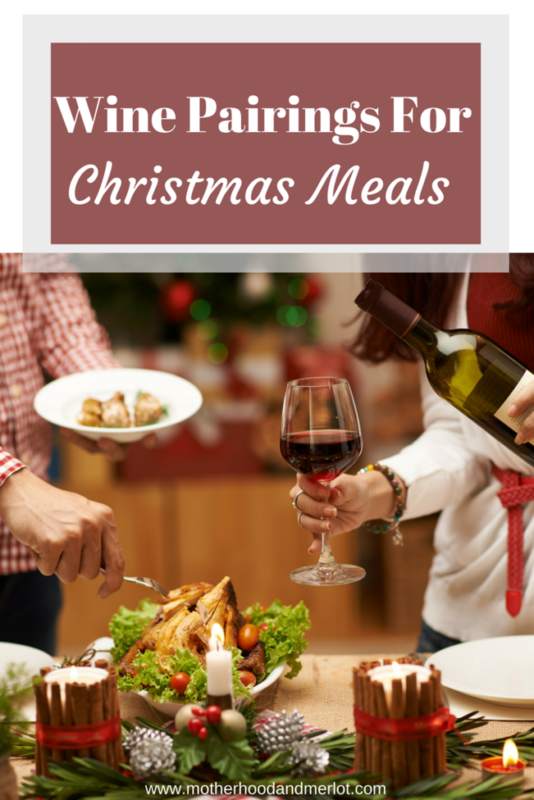 So, of course, here are some different options to pair wine with Christmas dinner. If your family likes to have ham with your Christmas dinner, you will want to go with wines that have a hint of sweetness to them, since most hams have a natural or added sweetness as well. Try serving a Riesling if you want to go with a white. Try going with a Pinot Noir and/or Zinfandel for a red option. Prime Rib is a really strong flavored red meat. The bold flavors that brings needs a wine that will match up in intensity and amount of flavors so that it doesn’t get lost. Red wines are going to be your best bet if this is the route you are going for Christmas dinner. White wines are not as bold in flavor as reds by nature, so unless you have one in mind that is extremely intense in flavor (maybe a very oaky Chardonnay), it would be best to stick with red wine for this pairing. You can pretty much get away with almost any red wine, besides a Pinot Noir since they aren’t usually a bold and carry more sweetness then intense flavor. You will want to pair this with a wine that is something lighter and one that will bring out all the herbs and herbal flavors that are paired with turkey dinners. A never-fail option is to go with a Sauvignon Blanc. Take a look at my Thanksgiving Dinner pairings for some great turkey and wine options. To me, this is a no brainer. 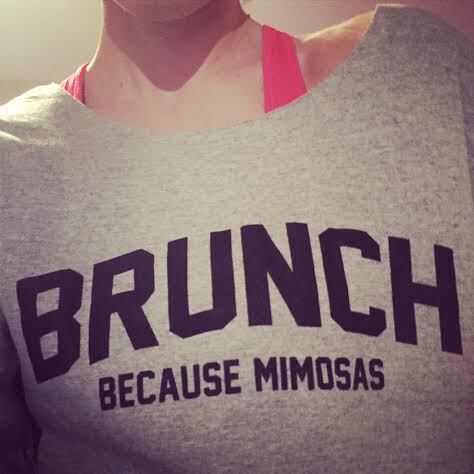 Brunch to me always equals mimosas. My mom always used to make a big brunch on Christmas Day rather than make a big dinner. It was always full of yummy egg dishes, pastries and different breakfast meats. The acidity from the orange juice always seems to tone down the sweetness of sugary brunch foods. I would go with a dry champagne like a Brut or an Extra-Dry. The Brut will be dry with no added sweetness and the Extra-Dry will be dry but have a touch of sweetness to it if you like that. 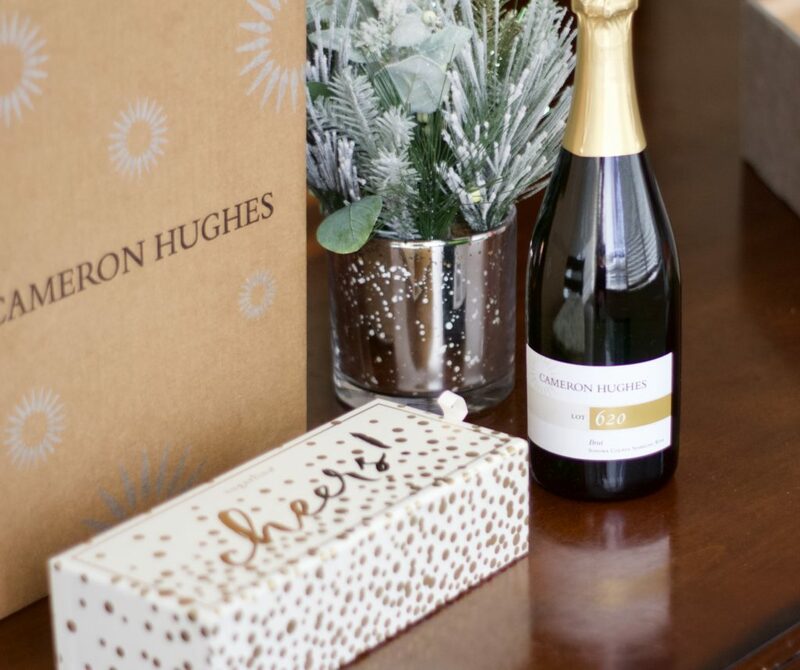 How perfect would this “bubbles and bears champagne gift set be from Cameron Hughes Wine? It would make the perfect host gift for whomever is hosting your holiday meal this year as well. Hope you found some of these pairing ideas helpful. What are you serving for your Christmas meal? I think they are serving ham where we are having Christmas I’ll have to bring a bottle. Thenaks for the recommendations. We e will be having prime rib on Christmas day. Thank you for your wine recommendations for the prime rib. The wine list definitely will come in handy. Yes to Mimosas! I’ll bookmark this for when I do my holiday shopping! Thanks!! I am hoping we have Prime rib since we are having a smaller gathering this year. Yum. I could go for a glass of wine right now. I think we’re having prime rib, so I’ll go with the Merlot or Red Blend. Thanks for all the great suggestions. And no, I can’t believe Christmas is next week. Argh! Great guide! Seriously how is Christmas next week??? This is so timely since I can’t drink beer anymore (damn gluten!) and I have been looking for wine to bring to Christmas. Thanks! haha I want that shirt! I love your pairing suggestions! Thanks for the recommendations – I love all wine but I am sure my guests would appreciate a variety and something that complements the dish. I can’t wait to try the Charles Shaw Cabernet! I always thought you were supposed to drink red wine with turkey! I know that’s what we’ve done for the last handful of years! These are great wine pairings! I will be coming back to lool at this for ideas on wine for our next big family dinner. Thanks! Thanks for the recommendations, these are great! Jennifer Corter recently posted…Give The Gift Of Winning This Holiday Season With The NJ Lottery! I think we’re going to have lamb on Christmas, but I’m not sure. Maybe a red? This is a great list-if I had my way, we’d have brunch with mimosas!!! Just the name of your blog tells me we would be great friends in real life. 😉 These wine pairings are perfect. Thank you for the suggestions! I was actually looking for some wine ideas as gifts so this post is the perfect guide! Great recommendations! I never know what to serve with what!